If You're Buying. This is Why You'll Be Sold On CHRIS SENEY a "High-Tech" Realtor. You have found many pages and articles that will explain the Buying process. FREE.....Sign up today to find your Dream Home Fast before it's Sold! Thank you for visiting my "state of the art" website, your source for Newmarket real estate. If you own real estate that you're thinking of selling, I would be happy to provide you with a FREE Home Evaluation. In today's competitive real estate market, timing is everything. Many good Newmarket homes are sold before they are ever advertised. Beat other homebuyers to the hottest new homes for sale in Newmarket with my New Buyer VIP Program. Whether you are buying or selling your Newmarket home, hire someone like me, who wants to earn your business. I invite you to contact me as I'd be happy to assist you with this important transaction. In addition, if you have any general questions about buying or selling real estate in Newmarket, Ontario, please contact me as I'm more than willing to help. Please browse my website below for listings, reports and important Newmarket real estate information. 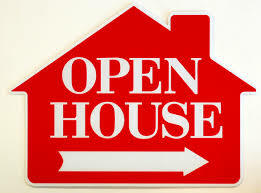 SIGN UP FREE....You will receive a list of open houses emailed directly to you. Copy of a past list.